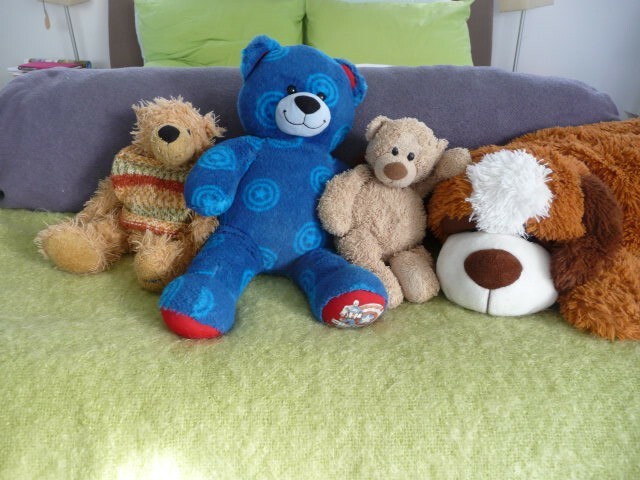 a project to delight the little ones. Various sized drinks cans were collected for this project. 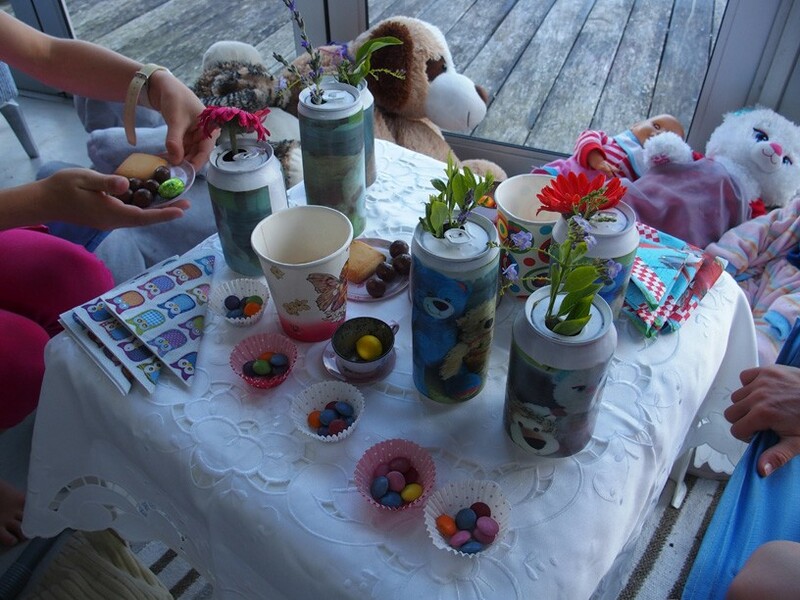 The idea was to photograph a few of the kids' favourite toys and decoupage them on to the cans to create colourful vases for a party table setting. 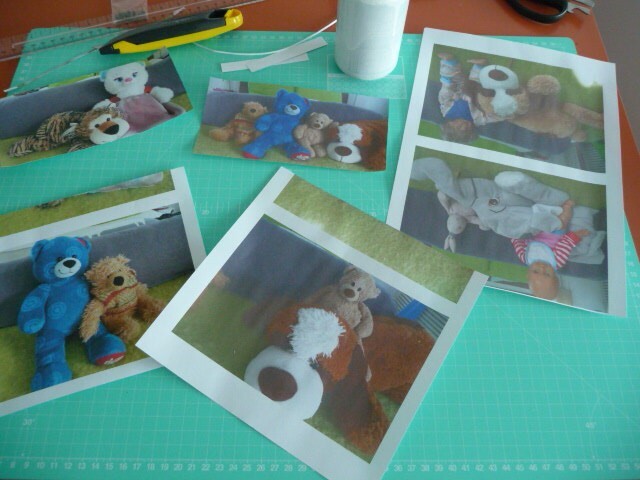 Here we used photographs of the toys but this project could be used for anything from sheet music to roses, cars, pirates, fish or even princesses. The choice is limitless. 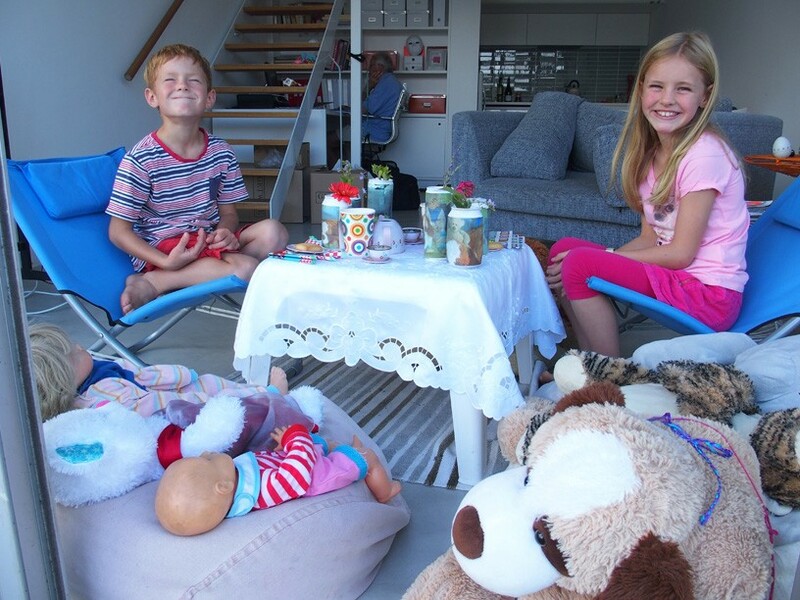 It is upcycling fun that anyone can do. First, the photoshoot. Aren't we a photogenic lot! Then the photographs were printed on regular printer paper and cut to size to fit on to the selected cans. 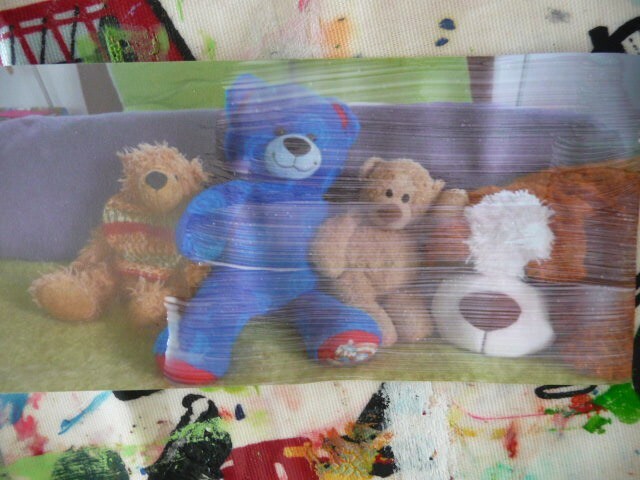 Each of the pictures was given a light coat of Decoupage Finish on the back of the print. This helps to prevent ripples in the paper and to fix the ink particularly if working with an inkjet printer. 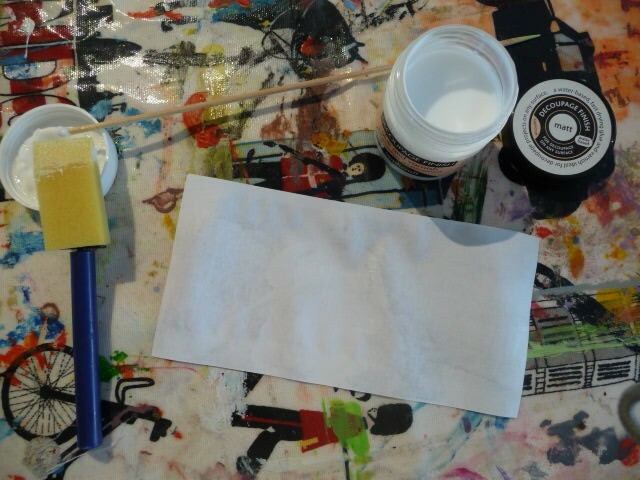 When dry, the front of the printed paper received a coat to Decoupage Finish. A light coat of Decoupage Finish was painted on to each tin which had been painted white. The picture was decoupaged on the wrong side and stuck to the tin. Finish off with a final coat. 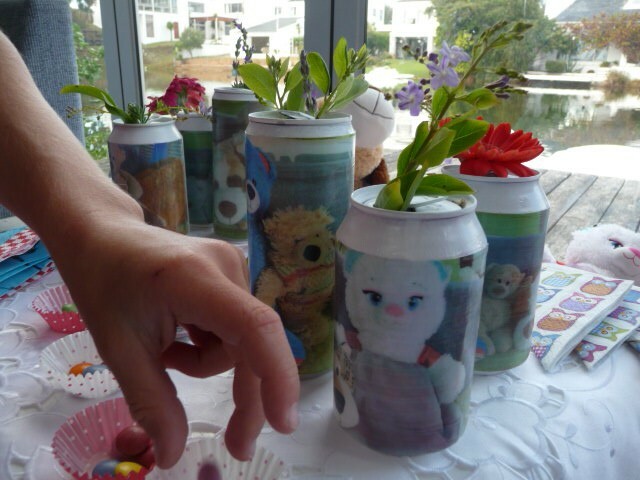 If possible wait for the work of art to dry before filing the cans with water and picking the flowers! Yeah! Time for the party. 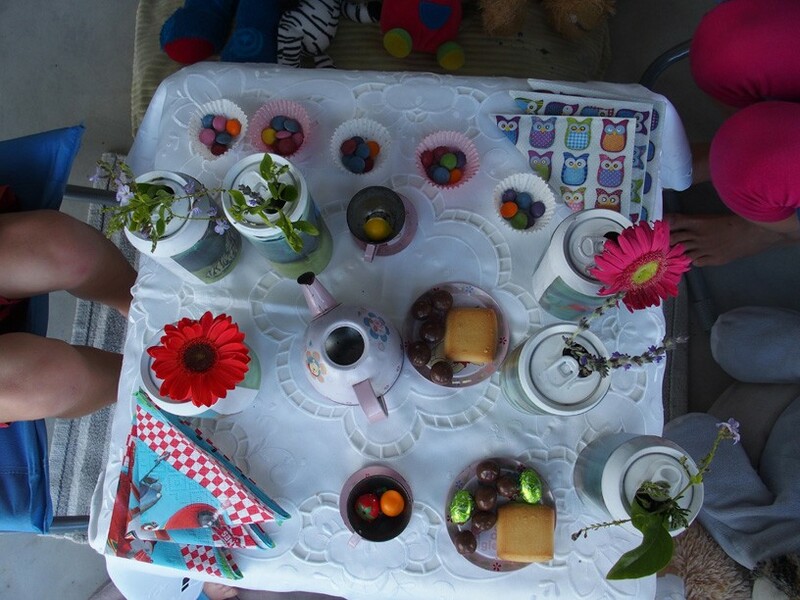 The toys are very hungry!